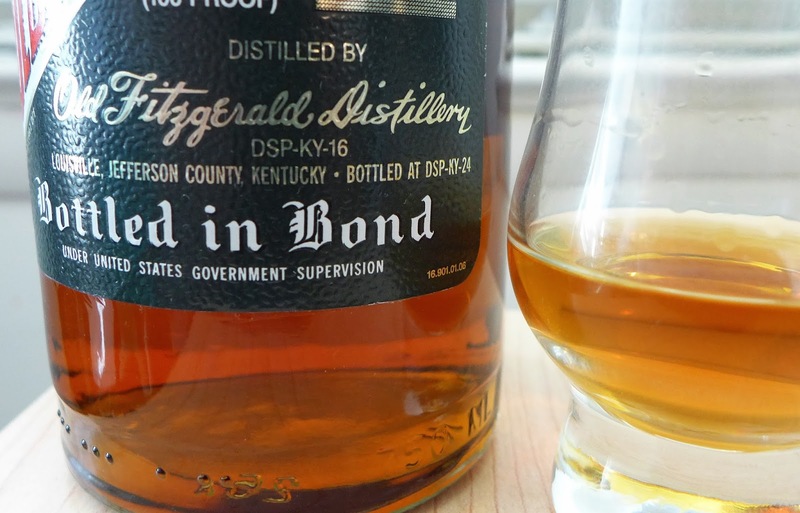 The Coopered Tot: Stitzel-Weller Old Fitzgerald Bonded Bourbons From Different Eras: Speaking Kindly of the Dead. 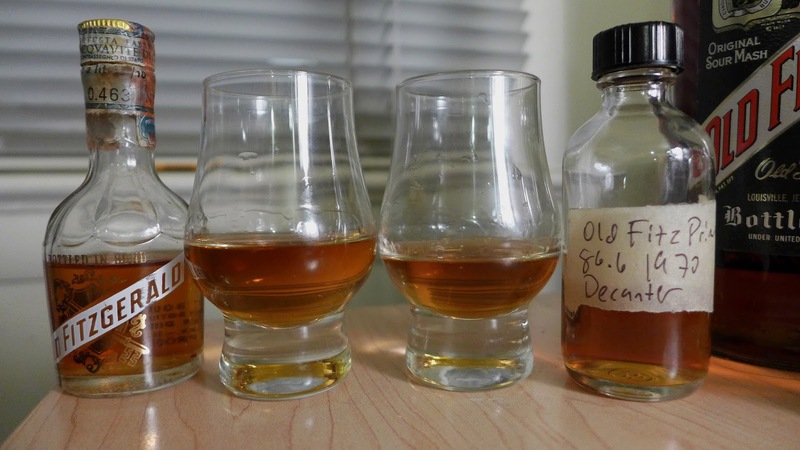 Thing is, this seems to suggest that using the same kind of production techniques could produce very good whiskey in a relatively limited amount of time. These didn't actually spend all that much time in oak in the scheme of things (still plenty of whiskey that's almost twice as old that sells for quite reasonable prices). The Old Bottle Effect is probably in action here, but even the late-90s Fitz still sounded pretty good. So there's no readily apparent reason why it couldn't be done again. Definitely bottle maturation may be part of why those 50 year old bottles are so amazing, but the 1997 does indeed show that it's only an incremental part of the yumminess. There is no doubt that it could be done again - although there's always the ineffable contribution of distillery character (microfauna, and terroir). 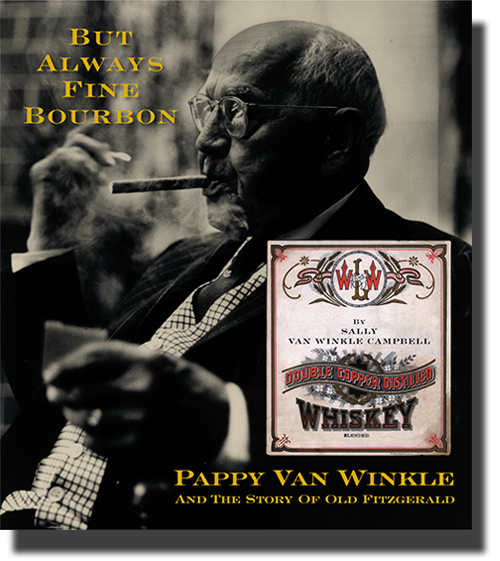 But your Pappy Lot "B", Van Winkle 10, and Family Reserve 15 and Buffalo Trace's special S-W replica. Having tasted some side by side with S-W I can say that BT's replica is both delicious and passably close. If anything it's even bigger and more dynamic. Of course, it is also effectively unobtainable. 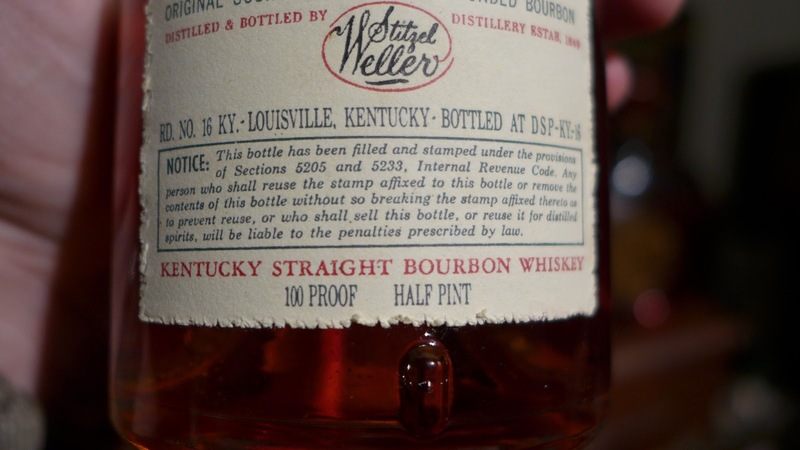 But Buffalo Trace's S-W replica wheater mash bill can be found in WLW, W.L. Weller Antique (107 proof) W.L. Weller 12 year old and W.L. Weller Select Reserve. Lighter, with florals more of lavender than of vanilla - it is clearly a similar mash and a flavor signature that's in the vicinity. 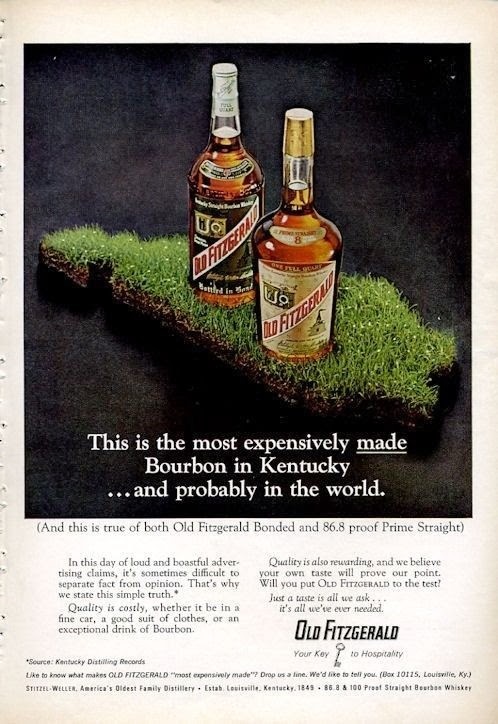 Heaven Hill's Larceny is in that neighborhood too. 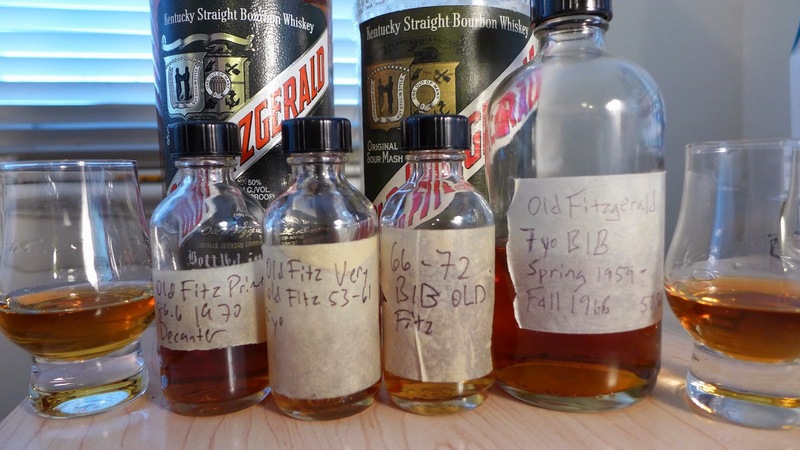 But compared to the old Old Fitz they are all light on the oak and don't quite have the rich perfume or dense fruit. I'll be posting about the trend in vatting W.L Weller expressions (and often other whiskies) into various "poor man's Pappy" recipes. Great review! I've come to expect exceedingly thorough research and sensitive tasting notes from CooperedTot, but this one added a dimension of sentimentality, history, and character that made it moving as well as interesting. And of course the drool factor at getting to taste all these old dusty treats! Keep up the good work. Bless you, Bro. I'm bringing some to your house soon! 'Cause it's the "Key to Hospitality". This is a fantastic portrait of the history of Stitzel-Weller! Do you think the distillery will return to production any time in the near future? Apparently not. 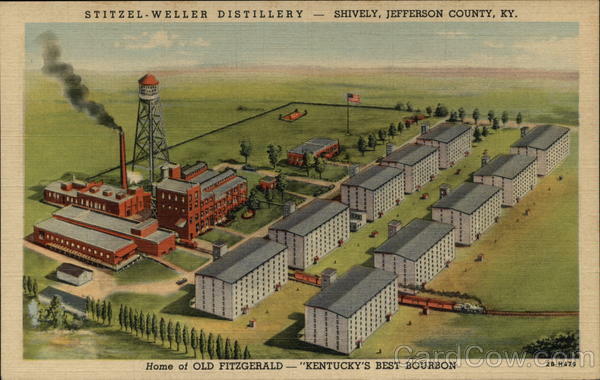 A recent Diageo release announced renewed plans to establish the Stitzel-Weller office (Pappy's office) as a "Bulleit Experience" visitor center but specified that there are now no current plans to resume distilling there. A Chuck Cowdery post mentioned asbestos abatement problems. It's not looking good. Wow. What an amazing and informative review with historical background. Thanks so much! So much fun to read and then drink the history. 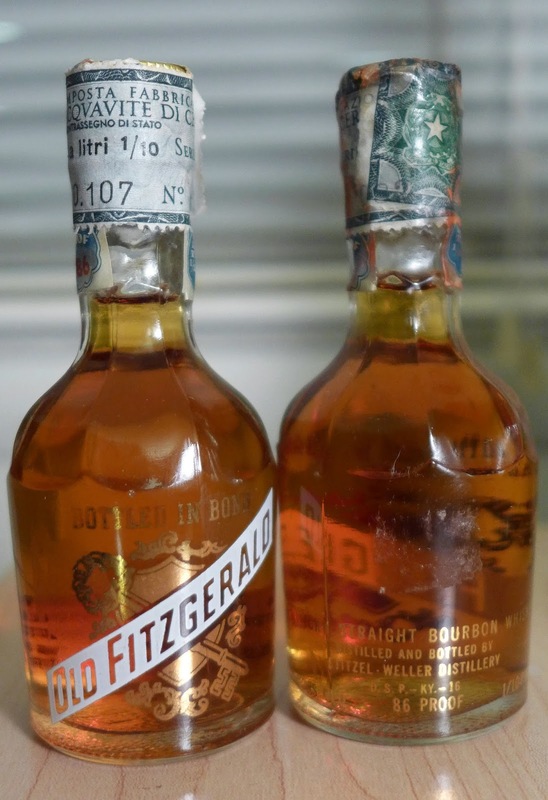 Can someone please tell me a good place to sell a Old Fitzgerald bottled set, bonded in 1966, still sealed and in a gift set with 4 glasses and stirrers. The set is mint. I have found a bottle of Old Fitzgerald Prime 86 proof in a sealed wildlife decanter (eagle) for sale locally. Seller suggests its from the 60's. They are asking for offers. Can you shed any light on this and if its worth making an offer? If so what do these sell for? Hello, I have a gal of sealed Stitzel-Weller Old Fitzgerald. It is in a sort of pour casing, sort of looks like a cannon when I pull the bottle down. 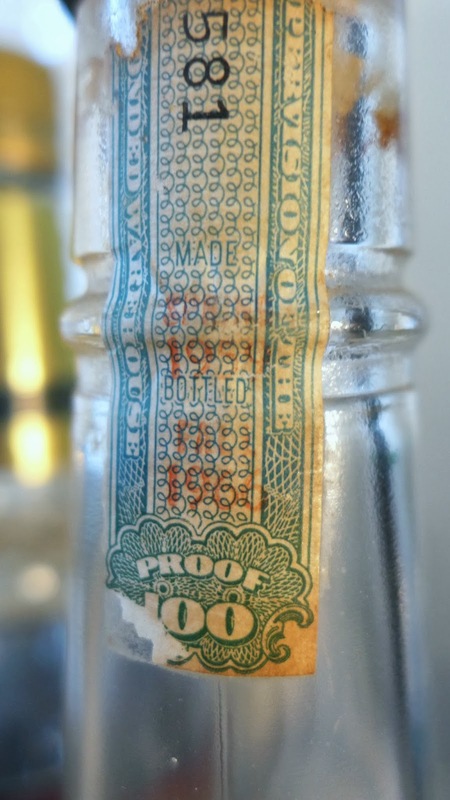 It has four liquor license stamps intact, and the green label over the cap is also intact. I would like to know if this has any value. Also, Stitzel-Weller in a circle is part of the bottle. Heck, yes, Carolyn, your bottle has value. Contact me via e-mail: josh[at]cooperedtot.com to discuss further. 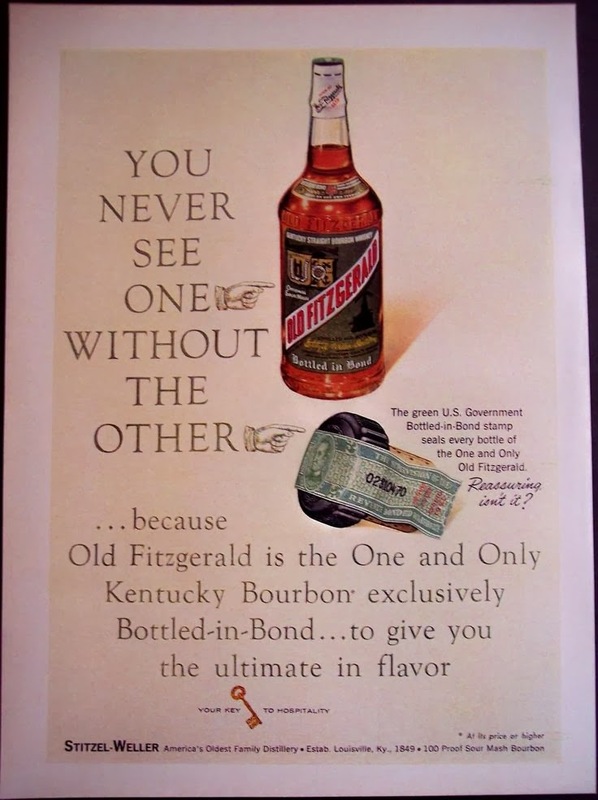 I have to pint bottles of the very old Fitzgerald. Labels aren't in great shape but they are there. Barreled in 1952 and bottled in 1960. Both unopened. Worth anything? Heck, yes, Greg, your bottles have value. Contact me via e-mail: josh[at]cooperedtot.com to discuss further. Take some pictures (with bottles standing up). 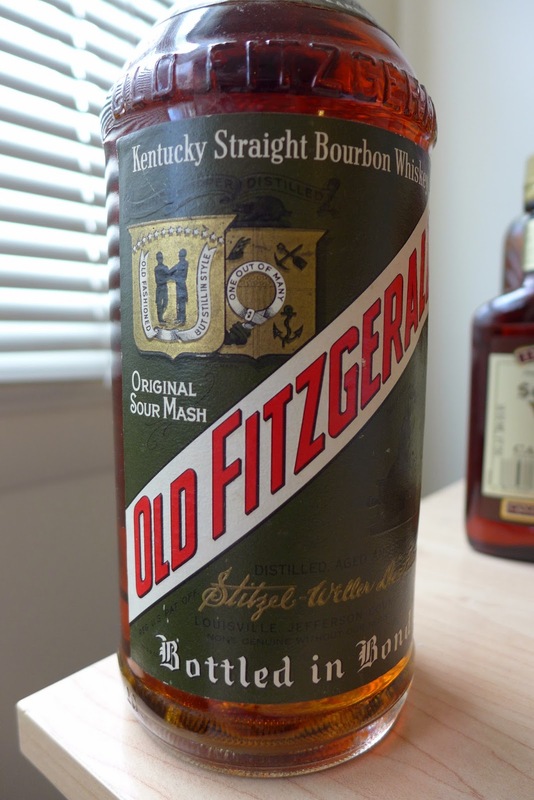 We have a bottle of Very Very Old Fitzgerald barreled in 53, bottled in 65. 100 proof with original box and red velvet cover. Still sealed. Just curious if it is worth anything or can we drink it! 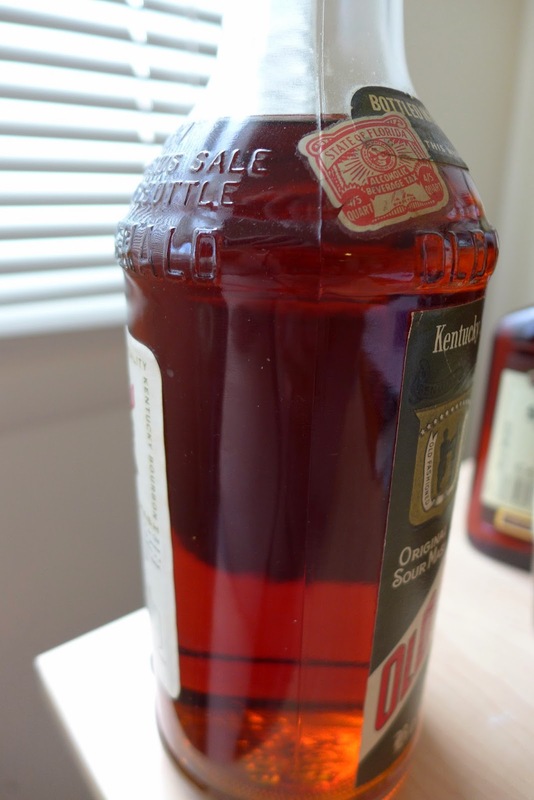 The answer to your question depends on the seal, fill level, and appearance of your whiskey. If The fill level is shoulder or above, appears clear (not cloudy), and has good seal the odds are that the whiskey inside will be good to drink. This is also the constellation of attributes that make it worth a lot of money. E-mail me (josh(at)cooperedtot.com) and include pictures of the bottle, upright, with details of the labels and tax stamps, capsule and bottle closure area (w/tax strips). VVOF is among the rarest and most valuable Old Fitz variants. 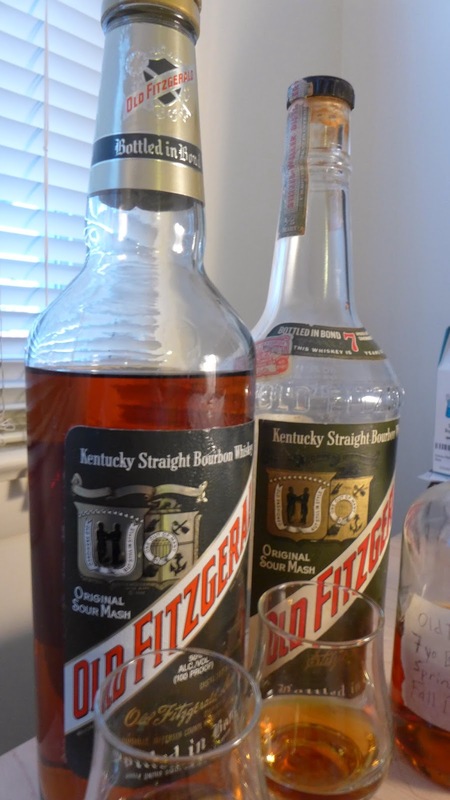 I have a bottle of very old bottle of old fitzgerald kentucky straight bourbon 100 proofin excelent condition,fill level above shoulder all labels and seals are in excelent condition,bottled in loisville kentucky like to know the value. Hi Barbara. I'm glad to help, but I need a bit more information. We should take this to e-mail. I'm at josh[at]cooperedtot.com. Email me and I'll reply. I'll be looking for some photos - hopefully taken with the bottle upright. 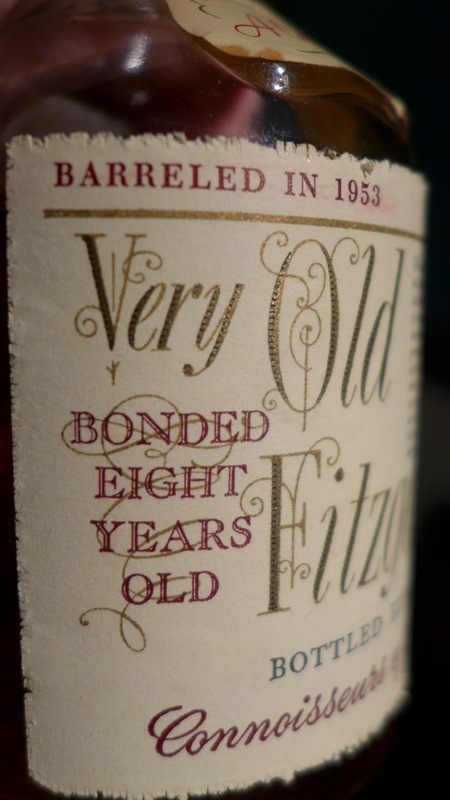 I have a bottle of Very Old Fitzgerald, barreled in 1952, bottled in 1960. It's never been opened and the seal is not broken and tax stamp is in great condition. It is still in the box, but the box is torn a little. It is 4/5 quart. Does anyone know where I could try to sell this bottle? Thanks! Email me (my address is in the comments above and in the about page on this blog). I can advise. I have a Half- Gallon of OF BIB 100 Spring 62-Spring 68, perfect, clear, in the neck. Now that Nieman-Marcus has just introduced a Fantasy Gift Collection for Christmas of 24 Old Bourbons from Stitzel-Weller for %125,000, I'm ready to sell it as it is the real deal. 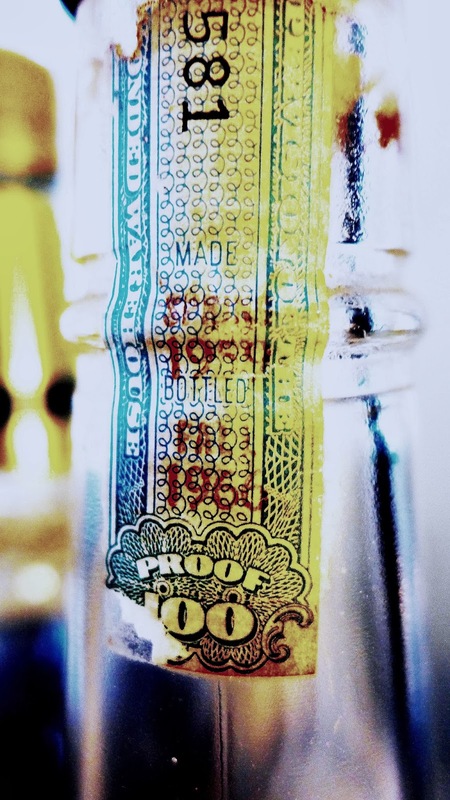 The provenance is the very bottle and contents alone I'll send pictures. I think it's from the 1960's. Would like to know its value and maybe sell it. I also have a one pint bottle of "GOOD OLD GUCKENHEIMER RYE WHISKEY"
I have an extremely old sealed bottle of "Old Judge" Pot Still Whiskey. Still trying to date this piece as I have never seen this vintage label referenced anywhere through my exhaustive searchings. Was handed down to me from my grandfather many years ago. I'm looking to sell to the right collector but need to nail down its date of bottling. From the Old Judge Distilling Co. Ballpark dollar amount of its value? I have a 1972 Stizel Weller Old Fitzgerald Whiskey Decanter of Alabama, it says Bicentennial, and has a picture of Vulcan on it, can you tell me if the decanter is worth anything? Depending on seal and fill level it most certainly is. 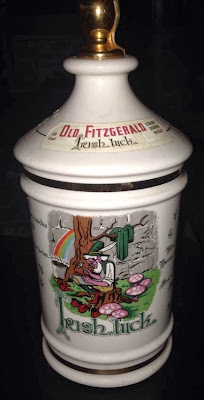 I have a full sealed Old Fitzgerald Prime Rip Van Winkle Porcelain decanter. Can anyone tell me the value? 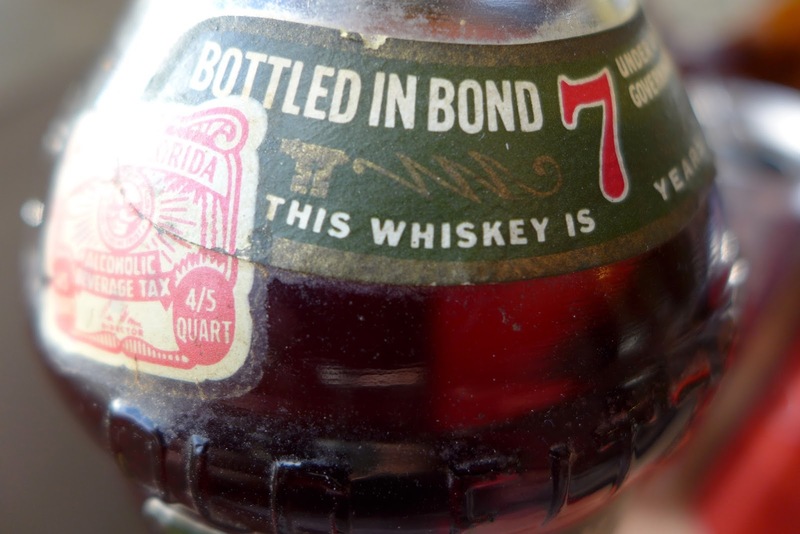 I have a bottle, tax stamp intact, of Old Fitz 6 year 100 proof BIB in 1977. It is in a green labeled triangular decanter. Any idea what this is? I'd love to see a photograph! Please e-mail it to josh(at)cooperedtot.com Thanks so much! I have a bottle of Old Eastwood. 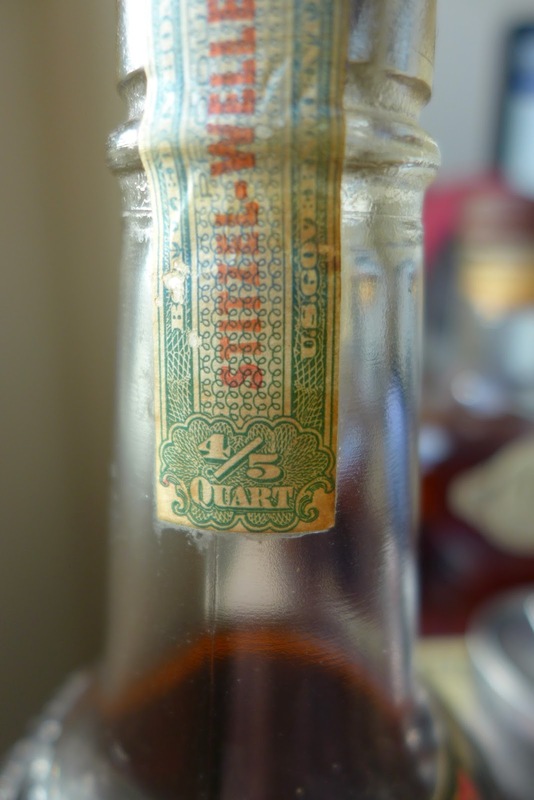 Distilled by Heaven Hill in 1936, bottled by stitzel-weller in 1943. It was a private label sw made for the Taylor Drug Stores in Louisville Kentucky.